As some of you may have previously read, my boys at An Honest Mistake celebrated 10 years as a band awhile back (they even threw a secret party which I wrote about here). Meantime, the band has continued their hard work in the studio with the preparation for an upcoming EP - aaand, they're doing a tour to promote this EP - aaaaand, the band has gotten a fashion pioneer to hop on the tour bus with them! Come 30th March, An Honest Mistake with the release of The Corporate EP, heads out on a 6-stop college tour together with Hip Hop DJ and Producer DJ Biggie, rising Hip Hop star Kiddsanthe, Producer and DJ Cuurley, award winning singer-songwriter Aisyah Aziz, as well as social media heart-throb and DJ damnyoudan. The 6-stop tour will take place in some of the major colleges in Klang Valley, namely KDU Glenmarie, UCSI, Sunway University, Nottingham University in Semenyih, Taylor's University, and SEGi University in Kota Damansara. 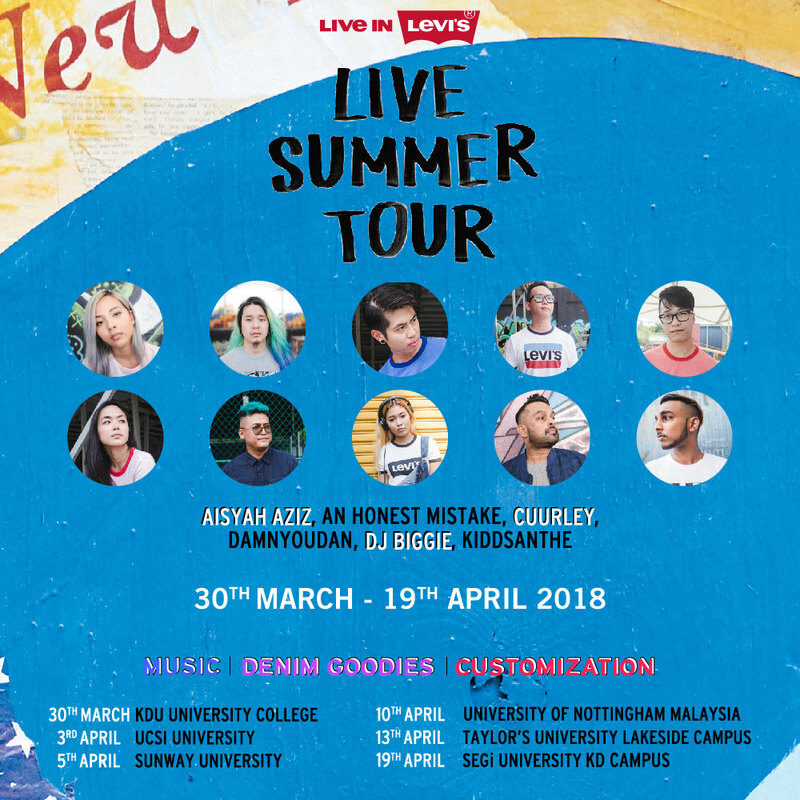 Adding to the excitement, Levi's® Malaysia has partnered with the band to add some spice to the music tour. In line with their summer youth campaign, 'LIVE SUMMER' embraces the theme of common bond - where all kinds of individuals get together to celebrate music and diversity. This year, Levi's® has taken an effort in connecting with their roots of music and fashion. To spruce up the outlook of the tour, an airstream will be seen as the main feature of the setup while denim customisation stations (iron-on patches and denim stencil) will be made available. Free gifts to be given away via a customised Levi's® vending machine as well. How exciting! The best part about this tour is that there will be specially tailored mentorship sessions for the students led by An Honest Mistake as well as the other ambassadors. The students will have the opportunity to hear from the artistes themselves anything pertaining to music. Such questions are to be expected and discussed, e.g. ‘How do I get into a band? 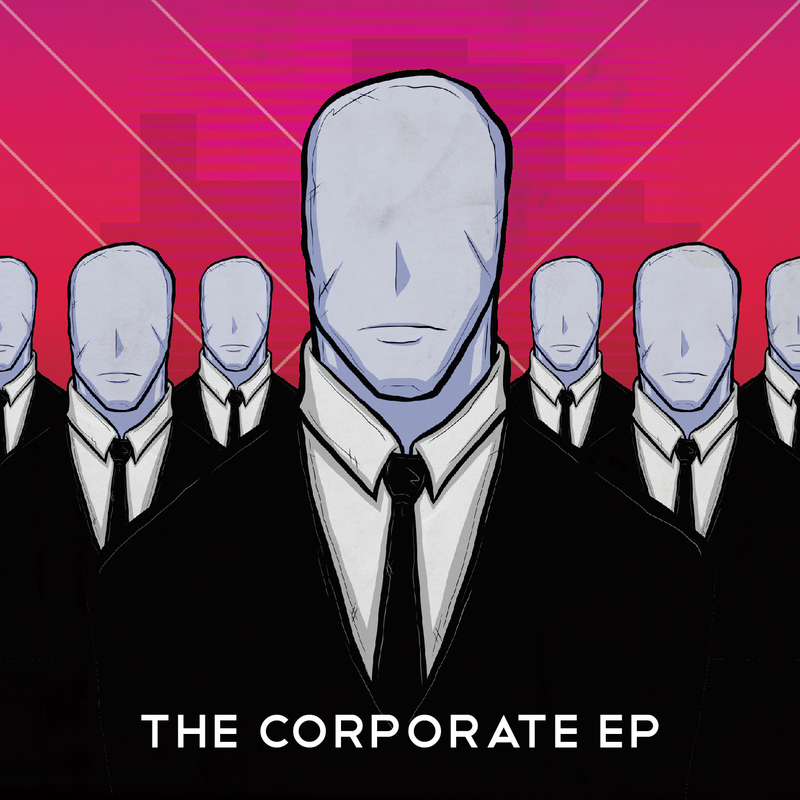 Where do I start as a music producer? How do I balance studies and music?’. Apart from education, there will be a Battle of The Bands aka Summer Jamming, to encourage bands and singers at a college level to discover and hone their craft in music. The involvement of music clubs from the universities also gives them real-life experience to work with professional artistes and brand. The winner of each university will then advance to the final showdown at The Bee, Publika on the 12th of May 2018. 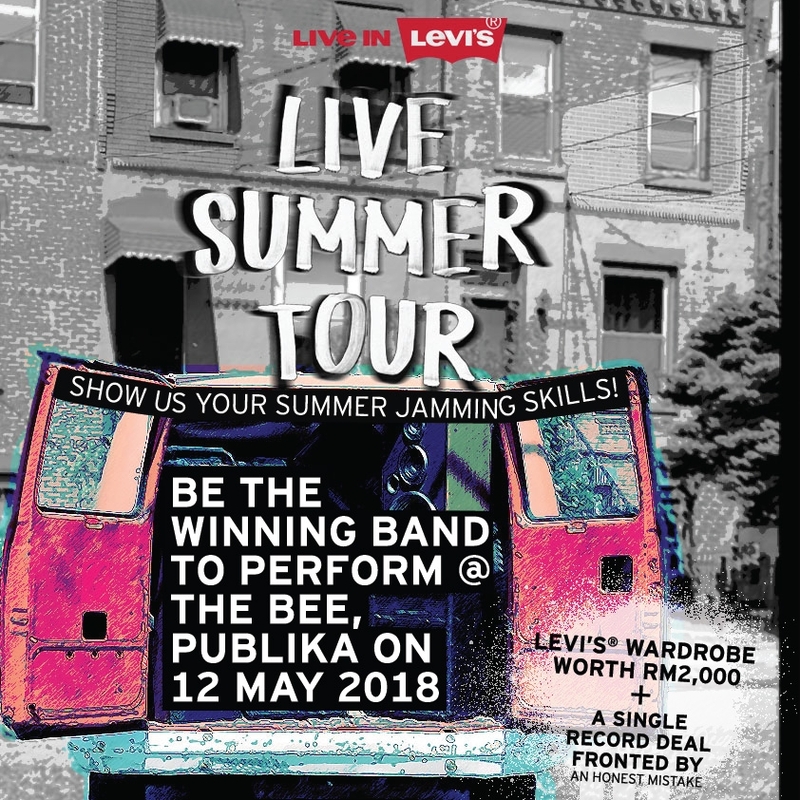 The winner will win Levi's® apparels worth RM2,000 and a one-song recording deal with Pulse Soundworks fronted by An Honest Mistake. Bringing together the element of music and fashion is definitely ‘new old skool’. Having all these artistes together is a wholesome representation of the music scene here in Malaysia; rock, hip hop, dance, and singer-songwriter. A road tour of this scale has not been done in Malaysia for a long time. With the element of education and a ‘tour’ in place, this will pave the way for future musicians to do the same while participating institutions will contribute to the growth of the music industry here in Malaysia.